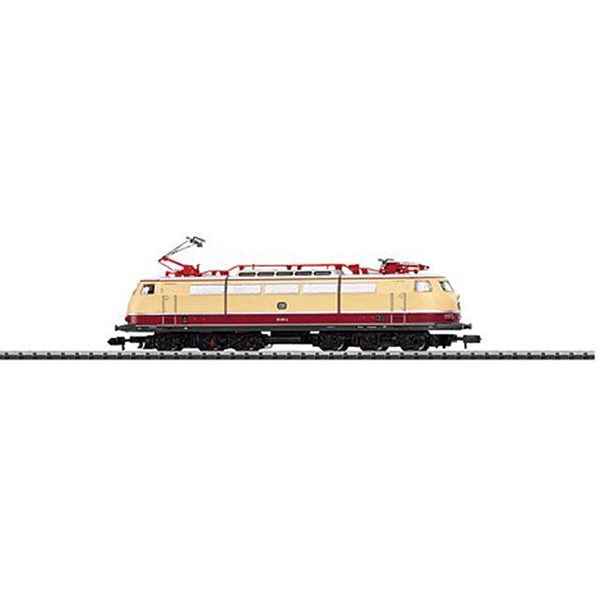 Prototype: German Federal Railroad (DB) class 103 express locomotive. C-C wheel arrangement. Built starting in 1965, preproduction series with only one row of vents on the sides. Use TEE and Intercity trains. Model: Era IV. The locomotive has an NEM digital connector. It also has a 3-pole motor with 2 flywheels. 4 axles powered. Traction tires. Length over the buffers 122 mm / 4-13/16.